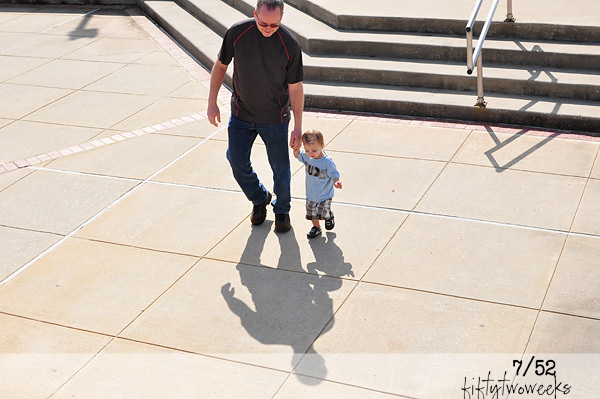 I loved the shadows of Micah & Grandpa in this shot as we wandered around the park in downtown Ruston. The weather was beautiful and we all enjoyed being outside enjoying it between shopping in the cute little shops that make up downtown Ruston. Grandpa & Micah make pretty sweet little buddies. I love this picture, great job!